Earlier this week, Ford announced that they would be recalling 202,241 vehicles in a series of five different recalls, including 38,600 vehicles to repair a problem that was caused during a previous recall. Ford has indicated that they are aware of one accident linked to the improper repair, but there have been no reported injuries. According to the company, there is a new malfunction with “the lower intermediate steering shaft. This improper repair could potentially result in a loss of steering.” The impacted vehicles include: 2005-2011 Ford Crown Victorias, Mercury Grand Marquis, and Lincoln Town Cars. Out of any recall this year (minus the GM iginition switch fiasco), this one from Ford seems to be the perfect embodiment of the recall culture. I mean, a recall of a recall. What the hell is that? Hopefully over the next few years, car manufacturers can tighten their ships and lower the unbelievable amount of recalls. Some argue that these recalls really don’t mean anything, that they are only precautionary and/or something that can’t be changed because it’s hard to tell what could break down five years into the future. Partially, these critics are correct, but not entirely. So far this year, we’ve witnessed recalls of vehicles just weeks after their release dates. we’ve seen recalls of recalls, and we’ve seen massive cover-ups that have put people’s lives in danger so companies can save a couple bucks. That is just flat out unacceptable, no matter what excuses some people try to throw out there. 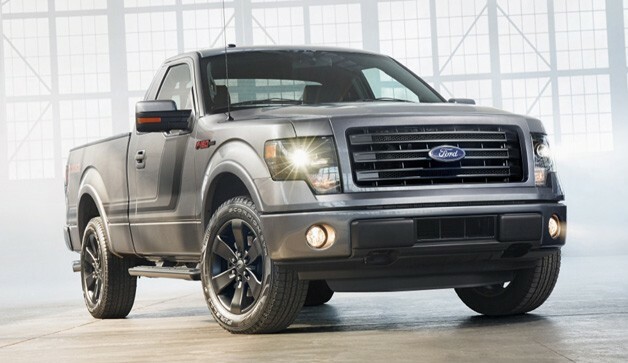 This entry was posted in Ford and tagged 2014 F-150, 2014 Transit Connect, 2015 Transit, 202, 241 vehicles, ford, Ford Crown Victorias, Lincoln Town Cars, Mercury Grand Marquis, recall, recall of a recall. Bookmark the permalink.